The Lagos state committee on food and nutrition supported by CS-SUNN under the PINNS project conducted a five day technical meeting to domesticate and develop Lagos state specific plan on food and nutrition (SSPFN) and state multi-sectorial plan of action for nutrition (SMSPAN) in Lagos. This is informed part of the strategic move of the PINNS project to reducing malnutrition in Nigeria, by ensuring domestication and implementation of relevant policies and plans that are targeted for this purpose. Lagos has been known for her quick and positive response to issues, policies and plans that improves the nutrition status of the state. Evidence is seen in the fact that it is only Lagos state in the entire country that has a policy of six-month Maternity leave for the first two births of a working mother as against 3-4 months practice in other states. Lagos also has an exclusive breastfeeding rate above 50% from the most current MICS data. Meanwhile, CS-SUNN also supported Kano State, being one of the PINNS states in a 5 day meeting to domesticate the policy, review and validate the state’s strategic plan. The meeting was an intensive one that accommodated members of the SCFN including The Director and Permanent Secretary of Ministry of Planning and Budget. The Kano State Committee on Food and Nutrition has been a dedicative committee with an outstanding support of the Permanent Secretary, Ministry of Planning and Budget who has been a great push to eradicating malnutrition in the state. To further the nutrition course in the state, the committee decided to domesticate the National Plan on Food and Nutrition (NPFN), although the state already had a nutrition plan which needed to be reviewed and validated. The documents became a necessity to be worked upon if there would be proper implementation of nutrition activities in the state with the desired outcome. The outcome of both meeting were drafts of the states policy on food and nutrition and specific plan of action for nutrition for the two states. 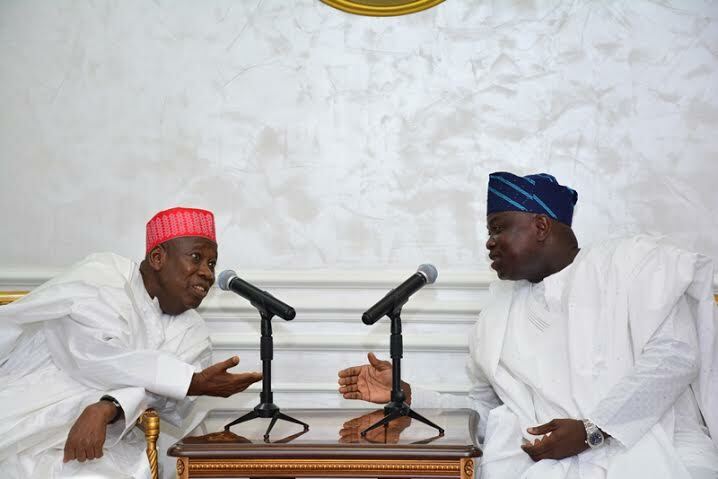 Both documents has been validated in Lagos State and is ready to be signed into law while Kano is seriously warming up to validate and also signed into law.